There are actually more than 15,500 clothes dryer fires every year, the majority of these are easily avoidable. Clogged Dryer vents will make the clothes dryer run considerably hotter and so as to dry the clothes, your dryer must run for a longer period. Listed below are just a few of the frequently asked questions we get, regarding dryer vent cleaning and also dryer lint removal. How frequently should my dryer vent cleaned? Do I Need To call up an appliance technician or even a warranty service provider first? A: Absolutely not! Appliance specialists will bill you money for the service call. When they turn up the very first thing they’ll ask is ” Have you had your dryer vent cleaned ? 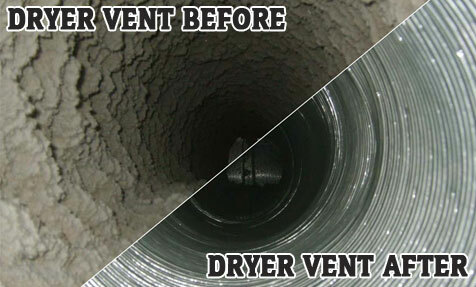 ” Dryer vent cleaning’s a service which they don’t perform! Many of them won’t repair anything on the clothes dryer until you’ve had your dryer vent cleaned. Meaning, absolutely nothing will get repaired. However, you will be out of pocket for the service call out. It is far better to call out a dryer vent cleaner first, and then an appliance technician if there is still a problem. Are there any signs that my dryer vent should be cleaned? Just what are some reasons for dryer fires?